A good map of Hyderabad is very useful as the city is undergoing constant changes and new areas, buildings, roads are getting developed as population is increasing. A recent map giving updated information is needed by both long term residents and those new to Hyderabad. 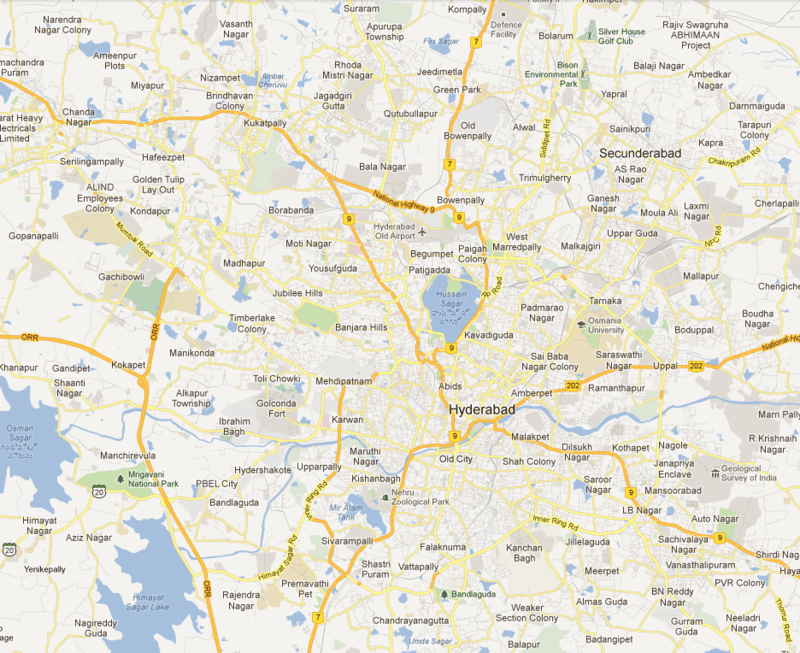 For your convenience below are the commonly sought after maps of Hyderabad – Central Hyderabad, Secunderabad central map. Plus, old city map and Cyberabad map. Hyderabad city maps are not only useful for the tourists; but they are also useful for students, and for every person who wants to get some information about Hyderabad city. There are several options for you to use Hyderabad maps. You can use printed maps from private publishers, atlases and some books. You can also get Hyderabad maps in tourist guides. Survey of India also provides several types of maps. 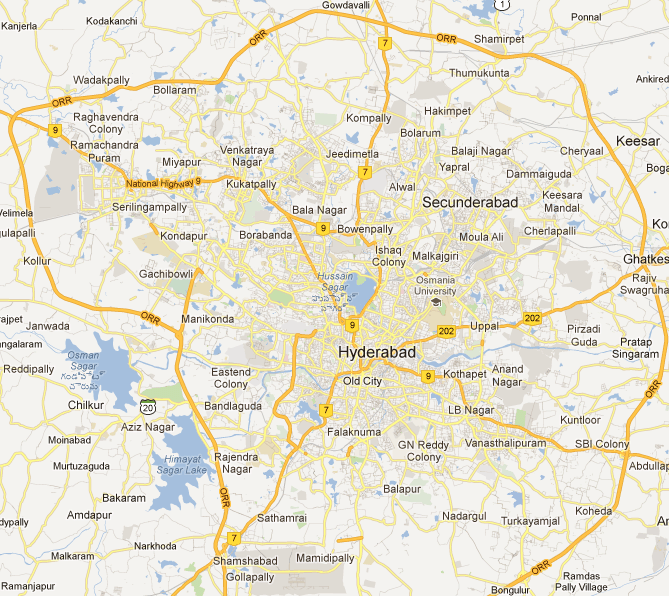 If you are a regular web user, you can find several online map websites that offer good Hyderabad maps. 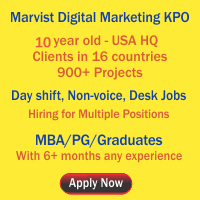 This entry was posted on Nov 2009 at 11:28 AM	and is filed under Info@Hyd. You can follow any responses to this entry through the RSS 2.0 feed. Your Feedback Matters! This website is so helpful but I am looking for a map which marks the areas that come under GHMC and that way it would be easy for me to know the areas which do not come under GHMC. Waiting for help on this ASAP.